Dubai, UAE, January 09, 2019: Whether you're heading to a meeting in the boardroom, unwinding in your casuals at the local pub, or standing at the altar ready to say your vows, a stylish watch can add a touch of class to just about any look. 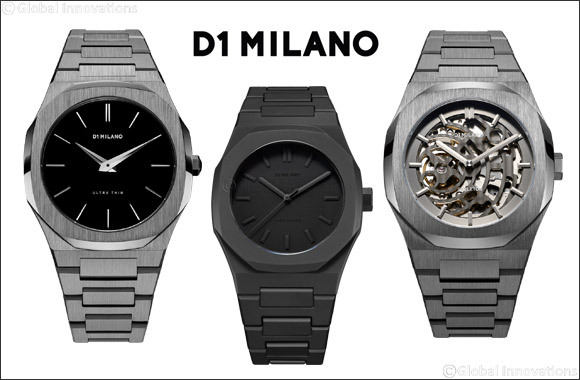 D1 Milano brings to the fore it’s astounding collection of timepieces in the new year for the discerning men and women. Want to know the best part? The bestsellers can go with just about any outfit. Pair one with a three-piece suit for that 007 vibe or go with jeans and a tee for the laid-back, classic cool look. One thing’s for sure, the timepieces are bound to make you stand out. Style yourself with a trend which is not only classy but one that make heads turn wherever you go. Creating revolutionary designs being the brand’s core value, D1 Milano is your perfect companion that helps you make a strong statement without compromising on comfort.